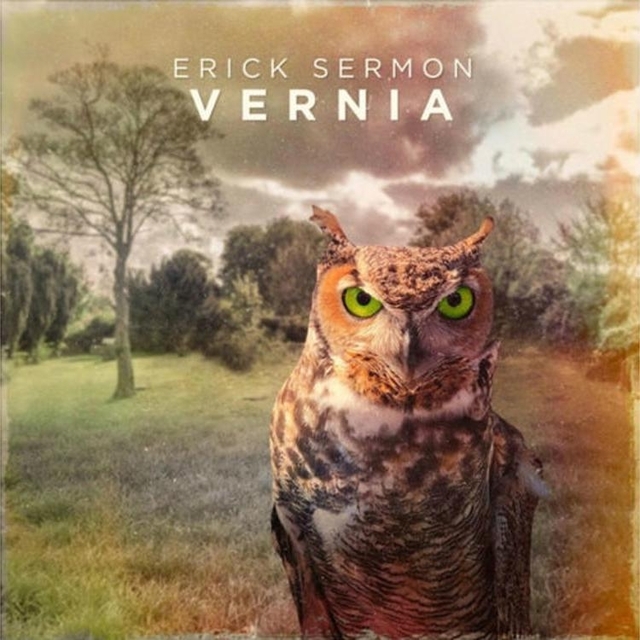 Erick Sermon has returned with a new solo album titled Vernia. The EPMD member’s latest LP features collaborations with Raekwon, AZ, Devin The Dude, Xzibit, Shaquille O’Neal, Big K.R.I.T. and more. Rockwilder, DJ Battlecat, Apathy and E Double himself are among those responsible for the production. View Sermon’s Vernia stream, cover art and tracklist below. Indio, CA – The 2019 Coachella Valley Arts and Music Festival comes to a close on Sunday (April 21) with a special presentation by Kanye West. The G.O.O.D. Music boss is kicking off the final day by hosting an edition of his Sunday Service series. Kanye’s Sunday Service began in January, but this Easter version will be the first time it’s been open to the public. Fans around the world will be able to witness Yeezy’s unique celebration as part of the Coachella livestream on YouTube. Later, the festival wraps up its second weekend with another jam-packed day of performances. YG, Pusha T, Rico Nasty, Khalid, Playboi Carti, Lizzo, SOB x RBE, Kaytranada, H.E.R. and Gucci Gang (Gucci Mane, Lil Pump and Smokepurpp) are among those scheduled to take the stage. Watch Kanye’s Sunday Service and the rest of Coachella 2019 above. Nicole Bus brings back a Wu-Tang Clan classic with the remix to her hit single, “You,” featuring Ghostface Killah. The updated remix also presents Ghostface’s first verses of 2019, as he gears up to join De La Soul and Public Enemy this summer on the Gods of Rap Tour. Bus originally debuted “You” as a single late last year and its climb up the Hot R&B Songs Chart and new remixes recently landed her on Billboard’s Emerging Artists Chart. The Dutch-born, Roc Nation singer will perform with Cardi B, Teyana Taylor and City Girls as a part of the Femme It Forward Tour on May 25 and 26. Check out the Ghostface Killah-blessed remix above. Tee Grizzley is fresh f the release his latest single, “God’s Warrior” which arrived yesterday. Timbaland held down the production on the track but it looks like it’s not just a one-f collaboration. Tee Grizzley announced that his next project will be produced entirely by Timbo. Tee Grizzley recently sat down with Zane Lowe on Beats1 Radio where he discussed his latest single and his upcoming project before Timbaland FaceTimed in on the conversation. Tee Grizzley announced that he and Timbaland are dropping a joint project together and explained how Kanye West was a catalyst in making it happen. Grizzley continued to detail the studio session with Kanye, explaining how the “Yikes” rapper told Timbo and Tee that they needed to work on a whole project together. “The focus shifted from them doing something to ‘we need to do a whole tape. You and Timbaland need to do a whole tape.’ Ye said you and Timbaland need to do a whole tape,” Grizzley said. There’s something to be said for the chemistry between an artist and a producer. You need to look no further than acts like Gang Starr or — more contemporary still — Daringer and the Griselda camp for great examples; do the artists and sound smiths thrive in their own, sure. However, every producer will quickly tell you that there is that one artist that is ultimately their number one. For Supah Mario, the one-time janitor who credits Young Thug as being the missing link between making music as a hobby and turning it into a fruitful career, his artist none other than Lil Uzi Vert. “He’s one of the most solid individuals I know right now,” he tells HipHopDX of his relationship with Uzi, for whom he produced “Mood” alongside TM88 and Southside. It’s understandably frustrating, especially for a producer whose racked up massive credits like “Wyclef Jean” by Young Thug and “Blue Tint” off of Drake’s Billboard behemoth Scorpion. More so than just one-off placements, Mario says he has a personal relationship with Uzi. He points out that this type of connection is something all producers should strive for in their career. “[Uzi] calls me once a week, like ‘send me a new pack.’ They’ll FaceTime me and like play me some of the new stuff that we just made. Manifestations so strong I gotta be careful of what I think. ”There, was probably like 20 or 30 producers for every writer. It got to the point where it was so packed that people were showing up before the studio opened to make sure that they secured a room to have those artists come in, listen, and recording and stuff like that,” he says with a laugh, adding that he was one of the first to pick up on that. If he feels less than confident that an overarching label decision may prevent six of his tracks from being on the long-prophesied Uzi record, the Dreamville project is even more dicey, with Ibrahim Hamad telling Mario that he had garnered roughly 1000 songs that spanned four hard drives during the 10-day marathon of creativity.